No longer the old-fashioned, gritty-but-necessary staple that most people didn't want to discuss, fiber is now a hot topic in the scientific community and the media. With Global Dietary Fiber market of $3.28 billion in 2016 and continued growth forecasted, the fiber category will continue to see good performance as it rides the wave of gastrointestinal health products, including pro and prebiotics. But, with literally hundreds of fiber ingredients on the market, offering a variety of different and as yet unsubstantiated health benefits, it's a tough category to get your arms around—from consumers to formulators. In an increasingly challenging regulatory landscape, the definition of fiber is getting harder to pin down, creating a heavy formulation and marketing burden for innovators and marketers looking to tap the opportunity—for taste and health. 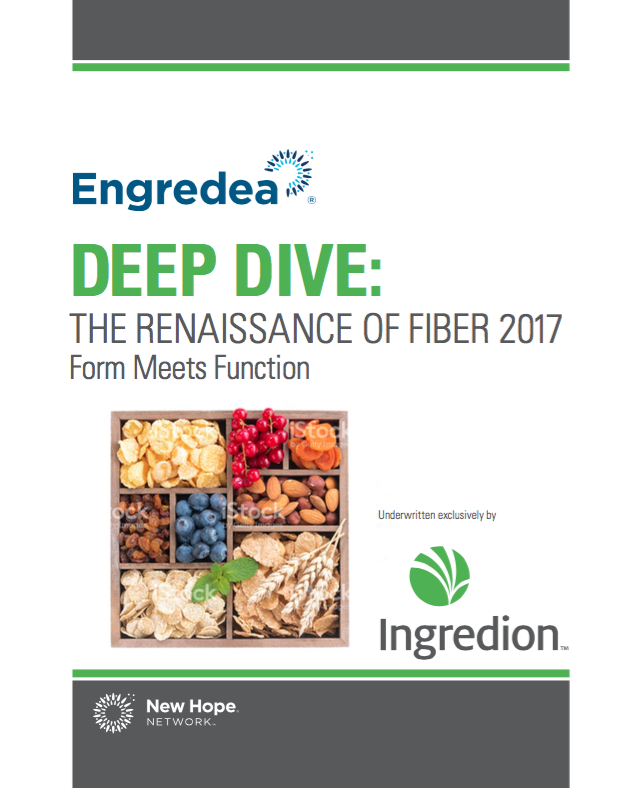 Learn more about new frontiers for fiber in our latest Engredea Deep Dive Report.